TWiT.tv is a network of technology shows ranging from Windows Weekly to TWiT Photo to Tech News Today. 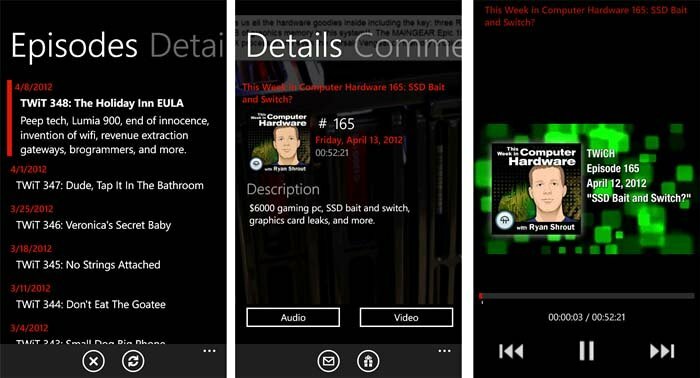 TWiT, the Windows Phone app, brings all the goodness of TWiT.tv to your Windows Phone. TWiT, the app, is well laid out and covers twenty nine TWiT.tv network shows. And each of those shows have dozens of episodes. All of which means that TWiT has plenty of tech talk to satisfy the geekiest of appetites. The main pages of TWiT covers highlights from new episodes, a Your TWiT page that shows your favorite shows and viewing history, a Shows page listing all the TWiT.tv shows, and a Live Audio page where any upcoming audio shows will appear to allow you to listen in live. The TWiT settings cover clearing the image cache and turning on/off Home Tile Updates. Once you find a show to your liking, you can drill down to that particular TWiT.tv show's pages that cover the show's episode listing (in chronological order) and details on what the show is all about. From the three dot menu on these pages you can send feedback to the show via email or voicemail. Button controls are available to tag a show as a favorite or refresh the screen. Last but not least, each episode will have a series of pages that cover the details on that particular episode and any comments on that episode. From these screens you have the option to view the audio cast or video of that particular episode. 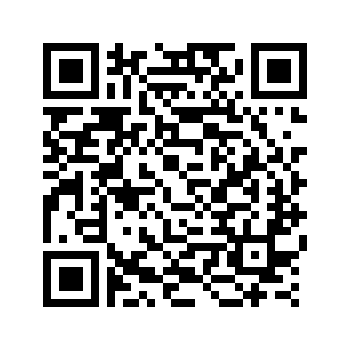 Button controls are present to let you share the episode by email or through your social networking sites. You also have the option from the three dot menu to play the video through your Zune Player. Speaking of Zune, TWiT is meshed with your Windows Phone Zune in that episodes will show up in your Zune history and the play/pause controls appear on your lock screen for episodes. A couple of observations on video/audio playback. First, play back was smooth, sound/video quality good and load times weren't too shabby. Second, TWiT will remember where you left off and pick things back up at that point. A nice touch to eliminate the need to spend time hunting for that point in the broadcast where you left. 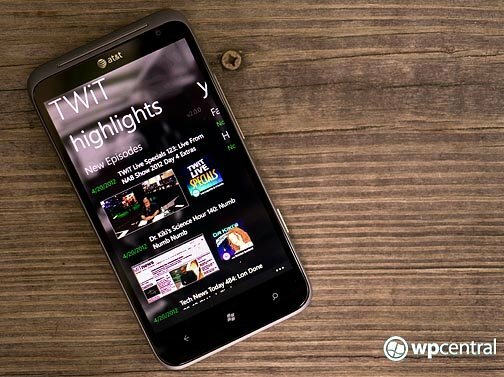 All in all, TWiT is a well presented app for your Windows Phone. Navigation is straight forward and simple and there is a lot of content. And it may be a small feature but I like that you have the ability to send feedback directly to the show. The only downside to the app is that TWiT is always refreshing. When you launch the app, it refreshes. When you go to view a show's episode, it refreshes. It felt as if the app refreshed at every opportunity imaginable. I wouldn't mind seeing a setting to turn off the automatic refresh to speed things up. If you're returning to TWiT to finish an episode or hunt an older episode, you may not need to refresh the content. The automatic refresh does insure that TWiT is current but if you have a slow connection, these refreshes can take a while to complete. Again, all in all, TWiT is a very nice app for your Windows Phone with tons of tech content. If you're a fan of Leo Laporte, Paul Thurrott, Catherine Hall or any of the other hosts at TWiT.tv, TWiT is worth a try. There is a trial version available but you can only play content through your Zune Player (no internal player support). The full version of TWiT is running $2.99 and you can find TWiT here at the Windows Phone Marketplace. Update: TWiT developer Dmitry Lyalin informs us that the trial version should not have any limitations. Unfortunately, there was a bug in the trial version in which the ad banners overlayed and hid the audio/video play buttons. The bug gave users (and myself) the impression that the trial version was limited. The paid version of TWiT did not have this bug and we were able to see all the playback controls. An updated version of TWiT, v2.1, has already been submitted to the Marketplace for certification that should address this bug. The result will be an ad-supported, free version of TWiT that has the same functionality and goodness as the paid version. The paid version will still be available for those wanting to eliminate the banner ads.